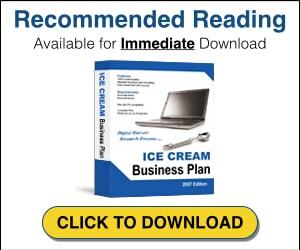 If you really want to make an impact with your advertising message so that everybody knows who you are, where you are located and that you sell ice cream then take a cue from the picture above. 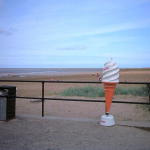 In this case, the ice cream parlor, located on a beach in West Kirby, Wirral, England is also a local landmark. 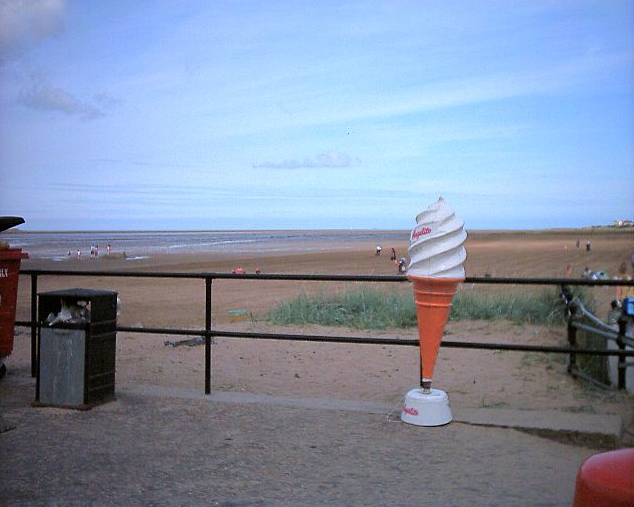 Furthermore, the ice cream cone is charming, a bit retro looking and unobtrusive. It looks exactly like it belongs on a boardwalk and it fits in nicely with the neighbourhood ambiance. When brainstorming your signage it helps to think in three dimensions instead of just two. In fact, having just the right sculptural touch can help establish your reputation in the neighbourhood as the place to go to get ice cream quite quickly.